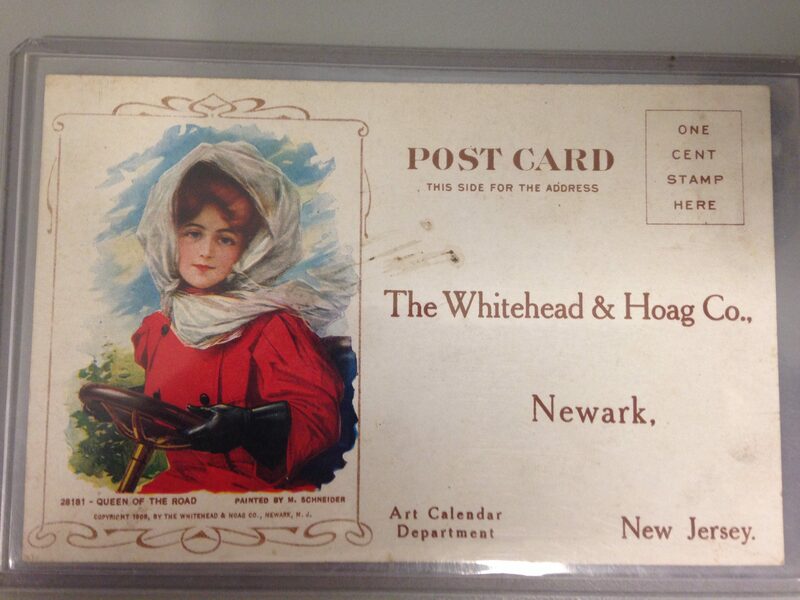 This unused 1908 post card was sent out by the Whitehead & Hoag Company to solicit business for their decorative post cards.. The decorative post card was a cost effective way to advertise and market the products or services your company offered. 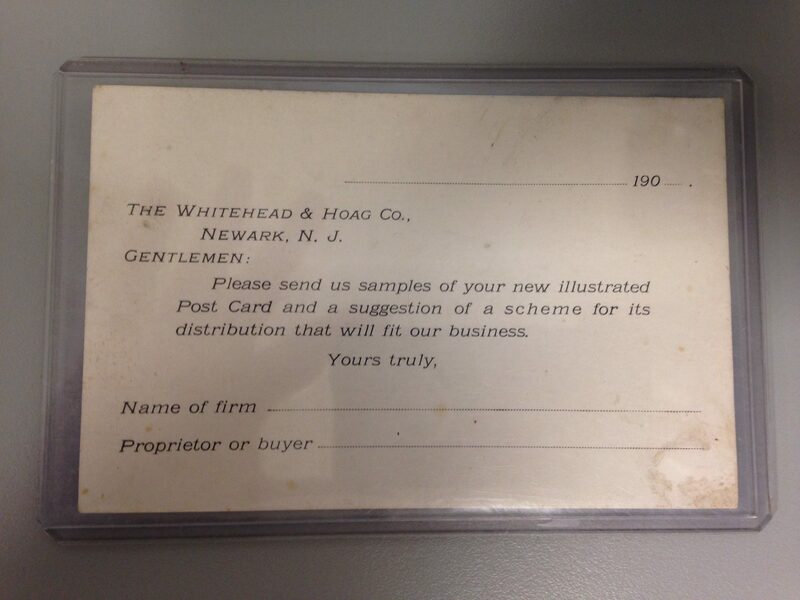 Whitehead & Hoag underscored the effectiveness of these post cards by using one to advertise their company and offer to create the same product ” customized to fit a business”. The front of the card shows an attractive young woman looking much like the famous “Gibson Girl” , which was considered the feminine ideal of the early 1900’s. However, Whitehead & Hoag’s young lady was not painted by Charles Dana Gibson but by an M. Schneider who quite adequately captured the “Gibson Girl” look. “The Queen of the Road” as she’s called is dressed in a driving outfit and at the wheel of a car ! Quite a provocative image in 1908 when there were very few drivers and most of them were men.